Happy Holidays from Howl2GO Florida!! We hope you had a great Thanksgiving! We have an incredible month of Dueling Piano parties coming up for December. There’s nothing like a holiday season wedding and to kick us off this month, we’ll be celebrating with Amanda and Eric in the beautiful surroundings of the Bellewood Plantation. We are regular visitors to this stunning venue – it provides an incomparable setting for a wedding and there’s no finer spot in Vero Beach. Check back early next year as we’ll be writing a blog post on this location. If you haven’t read our venue profiles or checked out our news pages, take a look. 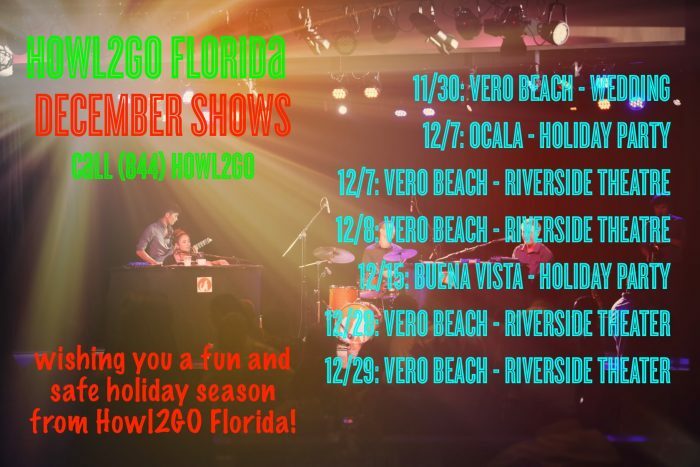 We head back to Ocala on December 7th and to Buena Vista on the 15th where our performers will be playing all your holiday favorites at two corporate holiday parties. We have four shows this month with our friends at the Riverside Theatre – not one but two great themed events! 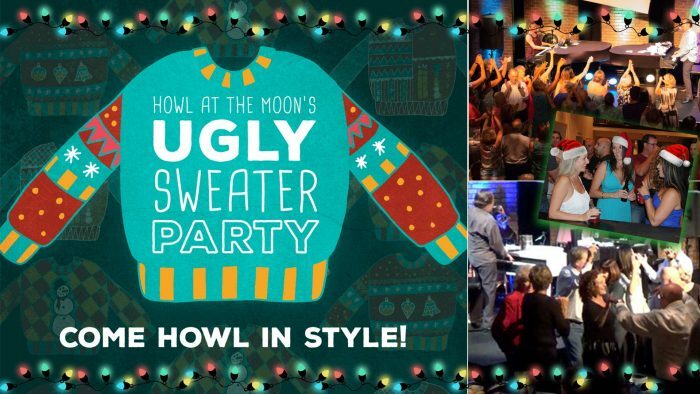 Wear your most horrendous, awful Christmas sweater to our Ugly Sweater Bash! The uglier, the better because your crime against fashion gives you the chance to win a prize for ugliest sweater! 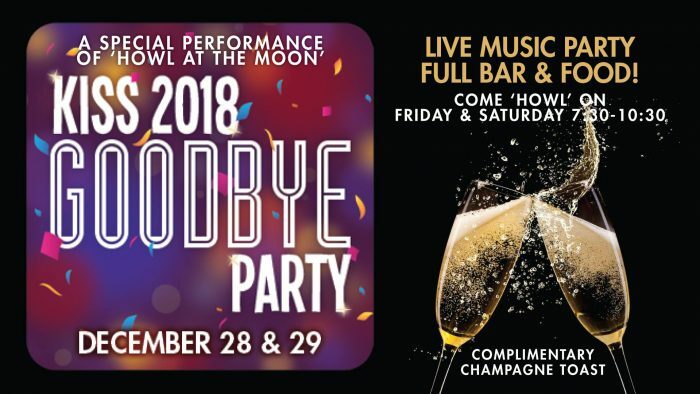 Enjoy the holiday party with dancing and live music that you request from our dueling pianos and drummer. So buy tickets now and then hit the thrift store for that hideous sweater! Plus… WIN door prizes and enjoy food & drink specials! Purchase tickets in advance for best seats. Whether you’re planning a holiday party for employees, clients, a huge corporation or an intimate family gathering – bringing Dueling Pianos to the event is a sure fire way of getting everyone involved. Our performers take requests from all genres and decades, ensuring everyone young and old is part of the party. Howl2GO is the number one most popular choice when planning your event. Unlike a band, we have no set list and the show is never the same twice! Contact us today to book unrivaled entertainment for your 2019 corporate holiday party, or private civic or family gathering.